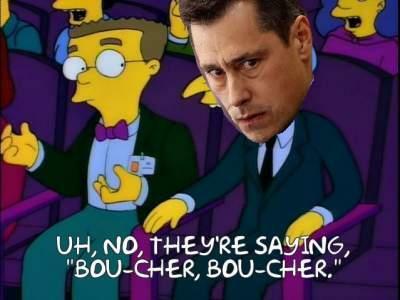 Really the biggest issue with Boucher is he has a rigid game plan (build attack from defence and a congested neutral zone) and refuses to change it even when it's clear his talent mix just can't execute his game plan properly. And why does he keep sending out the fourth line whenever things go wrong? 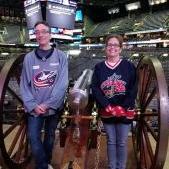 In the dying months of last season the team ditched the game plan and played more flowing hockey which suited them better- and they won games. It's odd he refused to learn from this experience. I still think he could be a good coach, but only if he learns from his mistakes. Oh well. On your first paragraph..... 1000% SPOT ON! I have been saying similar for a number of years now. Guy Boucher used to coach the Lightning as you may know, and he was there when they had that improbabl run to the ECF against the Bruins back in 2011. I have always said that Guy Boucher is a BRILLIANT head coach! He has game plans and bunches of wrinkles that go into them. Exactly what you said.... rigidity! I also thought, the man might be TOO clever for his own (and his team's) good! He comes up with some good attack and defense plans, which on paper, should work....but doesn't always take into account, "Do I have the personnel to execute this?" or "Ok, I don't have the personnel, so I need to modify or simplify"
No. It's always, "This can work...I know it can work...these guys just have to execute it!" The man just won't deviate (not much anyways) from his planning, seemingly just insisting that his guys, whether equipped properly for it or not, go out and make the plan a reality. When things go according to plan, his teams win and look damned good doing it. Notice his patterns in the NHL thus far.... new coach with the Lightning, takes his team to the ECF (granted, a red hot Dwayne Roloson helped there too! ), then after that, other coaches made adjustments to him and his personnel...… back to mediocre he and his teams go. Goes to Europe for a while, coaches there, does well, then gets another gig with the NHL's Senators, does well at first with the team, but again, other coaches adjust to him, he doesn't counter adjust...… and a Sens team that was already on the brink of falling down the ladder, plummets. I think if Guy Boucher ever evolves as a coach, he not only will stick around longer in the NHL, but be much more effective beyond just half season to a season's worth. Good planner, IMO, but AWFUL at reading when he is being adjusted to and making the proper counter moves....all the while keeping his personnel's strengths and limitations in mind. @ruxpin and I have talked before about certain coaches who make excellent "lieutenants", but not necessarily good "commanders". Rick Tocchet in Arizona seems to be another one. 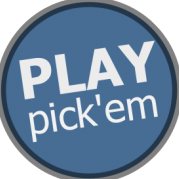 That is to say, those coaches that are good at what they do and make excellent assistants or specialty coaches, but the big overall decisions still elude them and simply are not fit for a full on head coaching job. In a season that was lost months ago, the Ottawa Senators, the worst team in the NHL, have fired coach Guy Boucher, the team announced Friday. Assistant coach Marc Crawford was named as the team's interim coach. The Senators (22-37-5) dealt their three leading goal scorers at the trade deadline, sending Matt Duchene and Ryan Dzingel to the Columbus Blue Jackets and Mark Stone to the Vegas Golden Knights. Ottawa lost its sixth consecutive game Thursday night, falling 4-2 to the Edmonton Oilers. With a gutted roster and a prolonged rebuild ahead, it was widely assumed that Boucher would not be offered a new contract, as his current one ran through the end of the season. But general manager Pierre Dorion stressed that the team needed a new voice behind the bench now. "I want to thank Guy for his three years of service. He is a good person and has been an excellent representative of the Senators. At this point, however, we need a different set of coaching and leadership skills to guide our team through this rebuild," Dorion said. "In the interim, Marc will bring a different perspective along with a wealth of head-coaching experience." Crawford, a 58-year-old Stanley Cup-winning coach, is in his third season as a member of the Senators' coaching staff. With 18 seasons of NHL coaching experience, he has served as head coach for 1,151 games with stops in Quebec, Colorado, Vancouver, Los Angeles and Dallas. He won the Stanley Cup with the 1995-96 Avalanche and was named NHL Coach of the Year in 1994-95. Boucher was in his third year as Ottawa coach, with a 94-108-26 record. His trajectory with the Senators mimicked that of his first stint as a head coach with the Tampa Bay Lightning: getting his team to Game 7 of the conference finals in his first season, missing the playoffs in his second and getting fired in Year 3. Of course, it wouldn't be the Senators without some level of dysfunction. Boucher was fired just one day after Dorion told the Ottawa Sun that a decision on his coach would happen after the season. "Guy's job hasn't been easy in the last few weeks with everything going on, and I think he's handled it well," Dorion told the Sun. That was not a firing, that was a mercy killing. As for Crawford, it cannot be beyond this year is it? I know he won a cup woth the Avalanche 20 years ago but he has literally done nothing since and keeps stumbling into jobs. They need Hunter or someone with a new approach especially with all the very talented kids they have. Wait, is Crawford the assistant coach the players were complaining about in the uber video? You know, the coach who taught the league's worst PK then this season taught the league's worst PP? No it was not him. I think it was the other assistant coach.